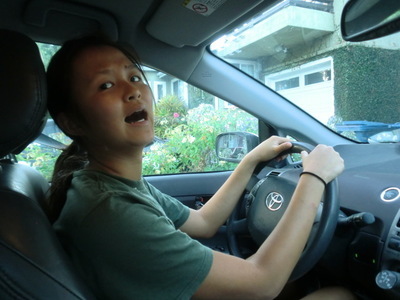 Watch out, world: Female Asian Teen with ADHD is learning to drive. Guess what?! I recently hit a milestone: I got my learner’s permit! …Funny how must of my peers are in love with driving. I guess I can see the appeal of getting a license. It means more freedom to go places on weekends and whatnot, and that always sounds good to me. I’m one of the very few who are actually pretty indifferent towards learning to drive. Maybe it has to do with the ol’ stereotype that Asians can’t drive – I don’t know. Or maybe it’s got more to do with the fact that my school is a good 10-minute walk from my house and I have close to zero need to drive anywhere. To me, learning to drive seems just like…school. Frankly, I sure hope I don’t end up meeting the Asian standard of bad driving.